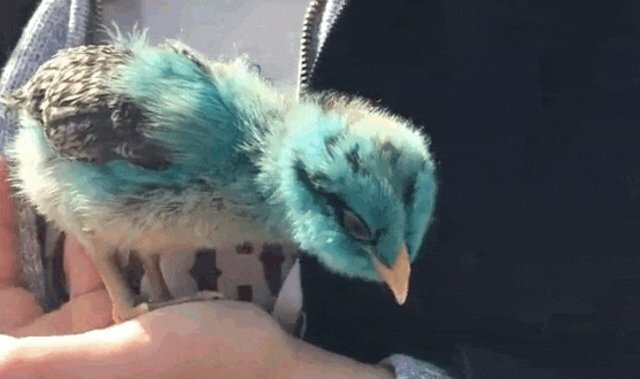 This baby chick is BLUE! 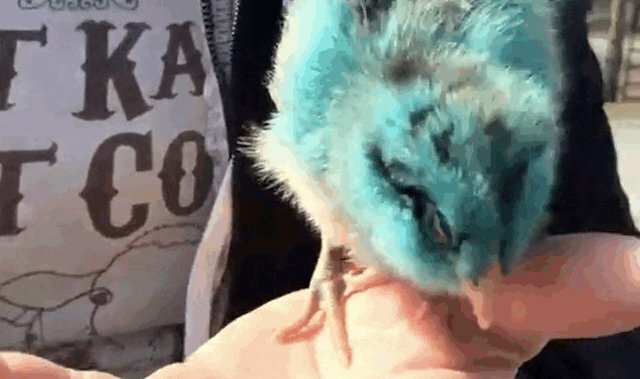 The little chick, named Picasso, was rescued by Woodstock Farm Animal Sanctuary after a boy won the bird at a church raffle and his mother knew that they wouldn't be able to give the little guy the care he needs. The peculiar-looking little chick curiously looks at the world. He turns and turns and turns as he explores. And he sweetly nuzzles into the arms of his rescuers. Picasso certainly looks unique, but has good reason to be blue. 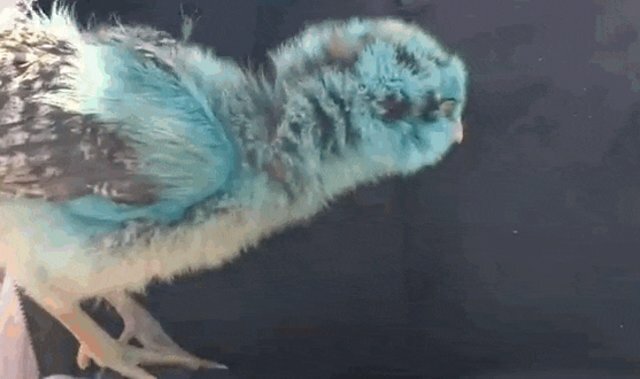 Thousands of live chicks are treated like novelty gifts each year during Easter season. 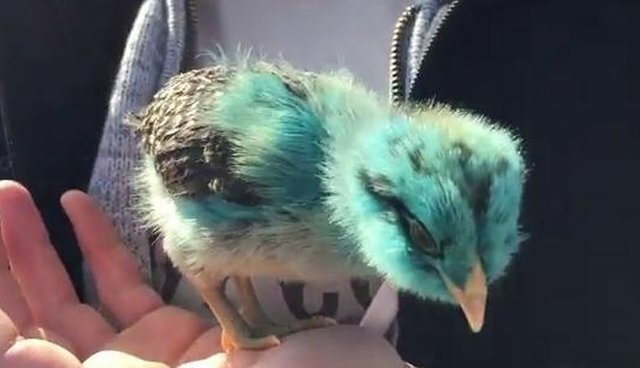 Never getting to meet their mother hens, they either have their eggs injected with dye or are sprayed with dye just after being born, and are sold or given away like objects. Sadly, many of them die soon after being born because they don't receive the correct care. Picasso's blueness will soon fade, and he'll live a long, happy life at the sanctuary. Help chickens and other rescued animals at Woodstock Farm Animal Sanctuary here. We're so glad Picasso was lucky enough to get the life he deserves.